See guest artist Marie Watt in live, narrated demonstrations in the Amphitheater Hot Shop on May 2 through 4 as part of a collaborative effort between The Rockwell Museum and The Corning Museum of Glass. Watt will be working with the hot glass for the first time and will collaborate with the hot glass demo team to experiment with new ideas and processes. See her at work from 10 am–12 pm and 1–4 pm daily (times may vary). 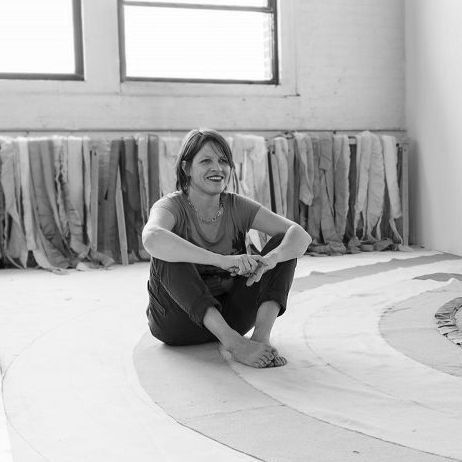 Marie Watt is a multidisciplinary artist widely known for her work with blankets. Watt’s work draws from history, biography, Iroquois proto-feminism, and Indigenous principles, and addresses the interaction of the arc of history with the intimacy of memory. Her process can be both solitary or as communal depending on the size of the project.